Distracted driving is any activity that could divert your attention away from the main task of driving.1 It is something that is both dangerous and disturbingly common. In fact, an estimated 660,000 drivers are using electronic devices while driving during daylight hours.2 You may be surprised to learn that cell phones and texting are just part of the problem when it comes to distracted driving. 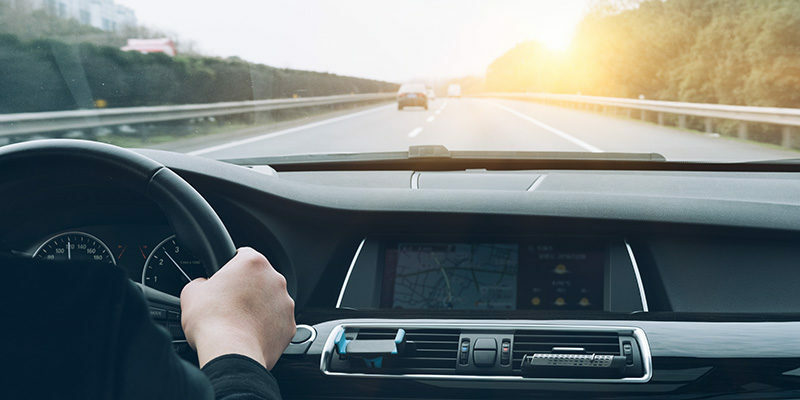 While stowing your phone while you drive is an important safety step, other behaviors behind the wheel, from drinking coffee to using a navigation system, may also be putting you at risk. It may not be surprising to learn that your brain is only capable of processing a certain amount of information at any given time. When we attempt to perform multiple tasks at the same time, like driving while talking on the phone or eating, we can encounter performance problems. Multiple tasks tend to compete for our brain’s attention. It may sound like an assumed fact, but you have to look where you are going when driving. Regardless, we see people driving without looking where they are going every day. Driving while visually distracted can be as dangerous as driving with your eyes closed. You would not make a turn or change lanes with your eyes closed, yet, distracted drivers are, in effect, doing just that. Imagine driving the length of a football field with your eyes closed. That is the equivalent of texting while driving at 55 mph. Because texting takes our attention away for an average of 4.6 seconds3, we are 23 times more likely to be involved in a crash. Some other common distractions most of us are very familiar with include eating, adjusting music or GPS devices, applying makeup, reading, and reaching for moving objects. Each of these tasks can dramatically increase your odds of getting into an accident. Texting while driving is particularly dangerous because it requires manual, visual and cognitive distraction at the same time, according to distraction.gov, the U.S. government’s official website on distracted driving. Distraction can keep you from driving safely in multiple ways. Any distraction, regardless of how quick or harmless it may seem, should be avoided when you are behind the wheel. Remember to keep your eyes and brain focused on the road at all times. Avoiding sending text messages or calling someone you know is on the road can help prevent them from distraction. Parents can set a good example for children by modeling attentive driving, including putting away the phone and not eating or grooming behind the wheel. 1 U.S. Department of Transportation, http://www.distraction.gov/stats-research-laws/facts-and-statistics.html. 3 Driver Distraction in Commercial Vehicle Operations, FMCSA, 2009.